Each stage is initiated by a kickoff meeting, which can be conducted either in person, or by Web teleconference. The purpose of the kickoff meeting is to review the output of the previous stage, go over any additional inputs required by that particular stage, examine the anticipated activities and required outputs of the current stage, review the current project schedule, and review any open issues. The PM is responsible for preparing the agenda and materials to be presented at this meeting. All project participants are invited to attend the kickoff meeting for each stage. 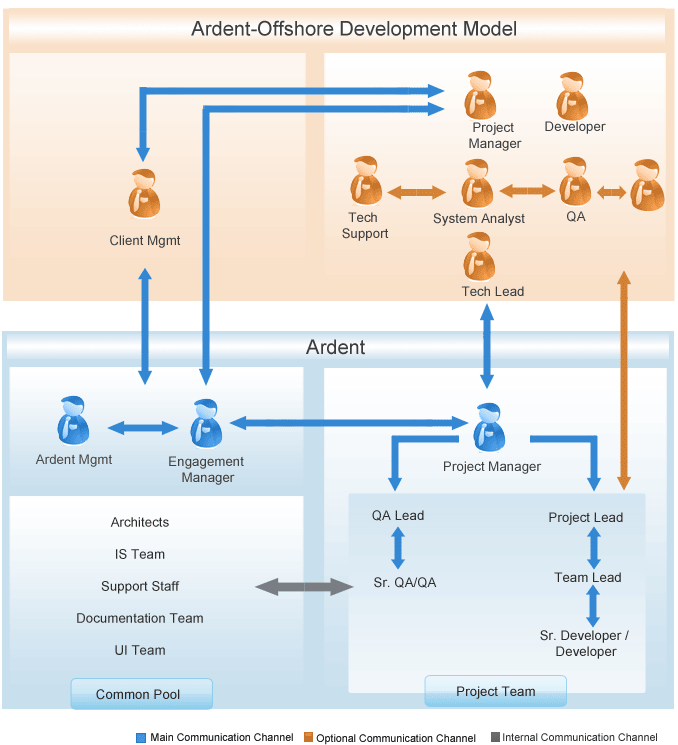 Ardent follows agile methodology Ardent employs full control of procedures at every phase to mitigate project risks and ensure efficient performance and high quality project implementation. During the integration and testing process, the software artifacts, online help, and test data are migrated from the development environment to a separate test environment. At this point, all test cases are run to verify the correctness and completeness of the software. Successful execution of the test suite confirms a robust and complete migration capability. During this process, reference data is finalized for production use and production users are identified and linked to their appropriate roles. The final reference data(or links to reference data source files) and production user list are compiled into the Production Initiation Plan. After customer personnel have verified that the initial production data load is correct and the test suite has been executed with satisfactory results, the customer formally accepts the delivery of the software. 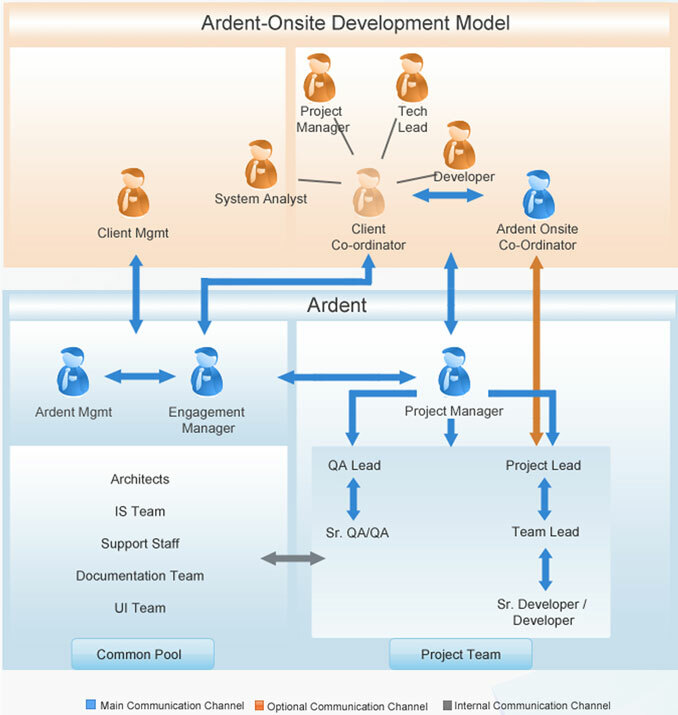 Ardent continuously improves its methodology to meet customer expectations through accelerated development schedules and high-quality outcomes.